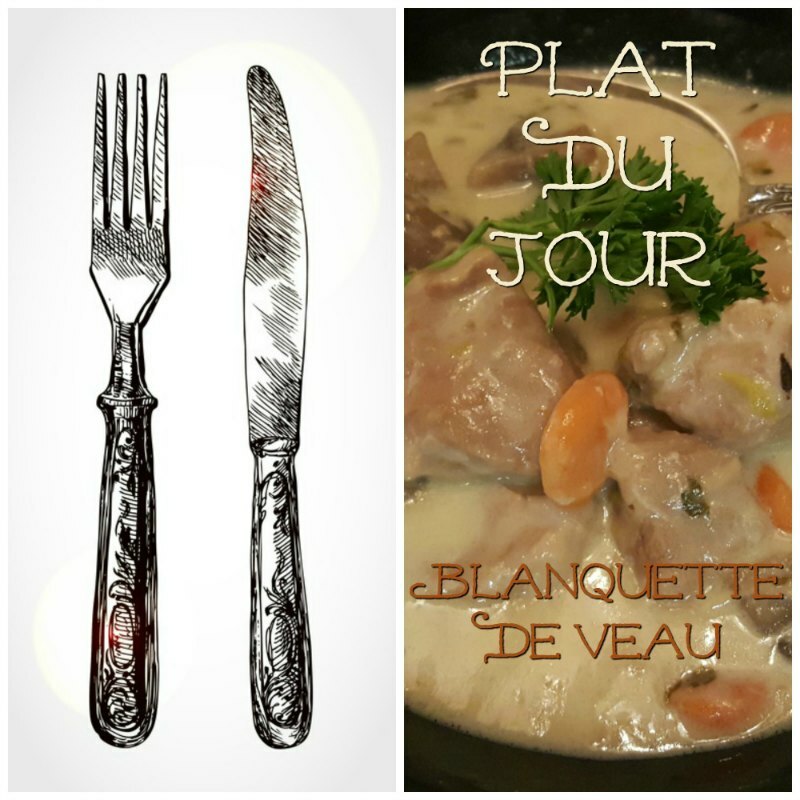 Blanquette De Veau A L’Ancienne – Maman has spent a lifetime trying (often in vain) to replicate the delicious French country cuisine recipes prepared by her mother and grand-mother. It now falls to me to duplicate the delicate flavors created by two great home chefs. Finding any cut of veal for this recipe in third world countries was a classic exercise in futility. It is much easier now but French cuts of meat are still difficult to find. The only place we found veal on a regular basis was in the Balkans where we lived for years. We ate excellent veal dishes in local restaurants and prepared them at home as well. Veal is expensive to buy but it is high in protein and low in calories. Find more veal recipes in some of the very best French cookbooks . But I digress – that was then. It’s now my turn to try to locate “tendrons” of veal so that I can prepare great-grandma’s recipe to the letter. There is no real translation for Great-grandmère’s recipe other than to call it by its proper name of Blanquette de Veau or to think of it as veal in a cream sauce. The main thing here is that none of the recipe components are browned in butter as you might expect to flavor a traditional stew or “ragout”. 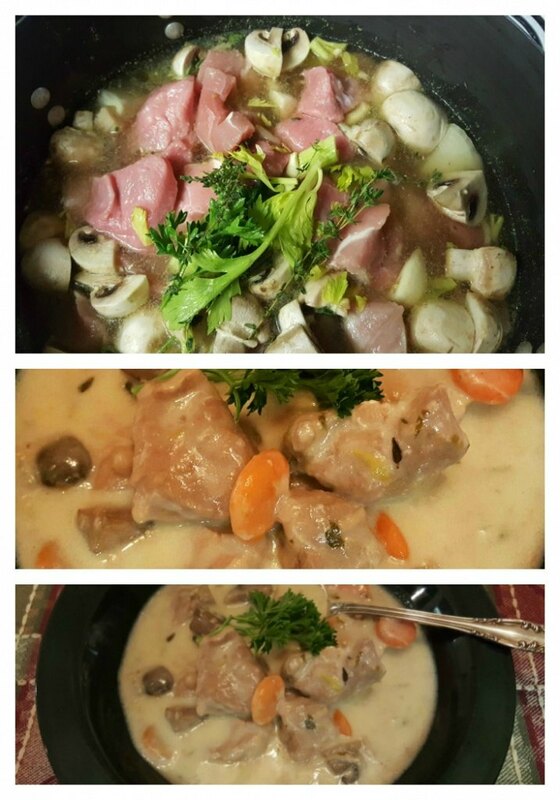 Blanquette de Veau is one of Mom’s favorite ready to eat dinners ! Do you prepare meals to freeze or simply to stock the fridge and freezer ? 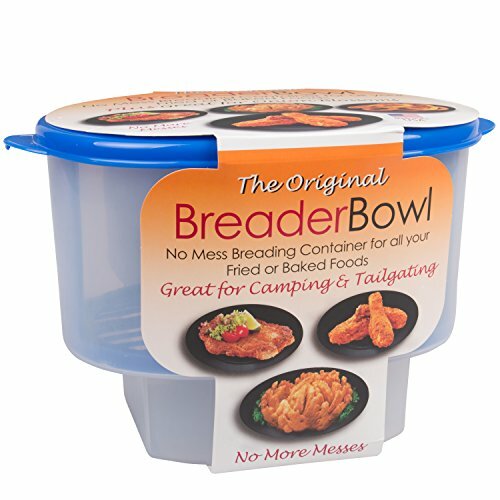 I have a collection of these perfectly portioned , leakproof and reusable containers to transport and store Mom’s weekly selection of soups and dinners. During our travels around the world, veal was rarely on the menu. You could attempt to prepare the recipe with beef but the delicate flavor imparted by using the proper cut of veal, the mild flavored veggies and the egg rich cream sauce all combine for a real gastronomical tour de force. I normally buy Catelli Brothers© veal stew meat at the supermarket but it is very lean and not cut from the right section of the carcass. Catelli© does sell veal breast. You can order it online but it is not available in local supermarkets. At least not in any of my local supermarkets – I looked more than once. This is where a market like Wegman’s© or Whole Foods© comes in handy. Talk to the butcher and make a special request for this particular cut of meat! The ideal cut of meat for this recipe is breast of veal or shoulder if the breast meat is not available. 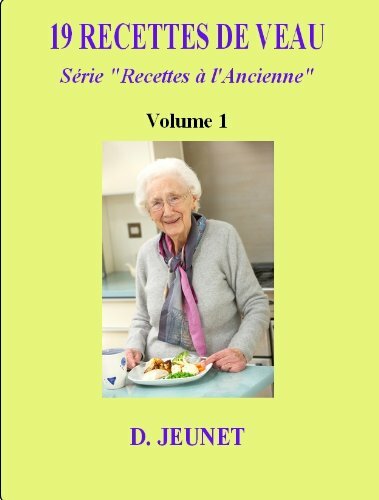 That’s not my Grandmère or great-grandma pictured above but open the pages of this small cookbook and you will find nineteen scrumptious recipes prepared à l’ancienne – which simply means the old fashioned way aka the way Grandma made it! 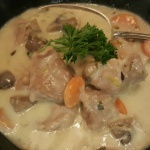 It includes a recipe for Blanquette de Veau à l’ancienne. The tendron is the perfect cut for Blanquette de Veau. I’ve marked it with a green check mark – notice that it is found in the category marked as having more than 10% fat. 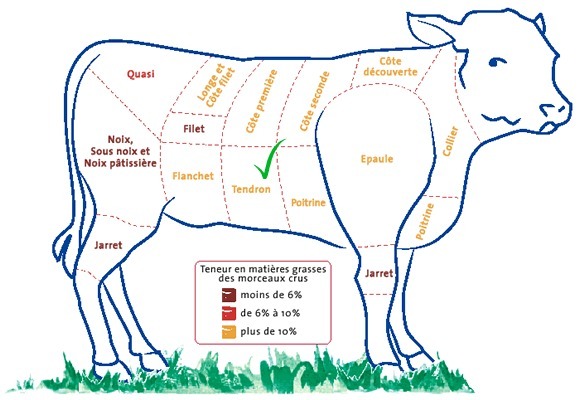 The dark red represents less than 6% fat and the rump area shows anywhere between 6 and 10% fat content. The more pale the meat is the higher the quality. For a complete guide to buying cuts of veal or other meats, be sure to read Lobel’s Guide To Meats. Slow Cooker Version: Add a handful of carrot sticks and rough cut onion pieces to the bottom of the slow cooker. Place the veal pieces evenly across the bottom of the cooker and top with the vegetables, herbs and spices. Carefully pour stock over the meat and vegetable so as not to displace too much. Skim the broth as the meat cooks. After 2 hours or so, remove about a cup of liquid from the pot. Set aside to cool. Replace the lid as quickly as possible and continue cooking. About 30 minutes before the end of the cooking period, prepare the sauce mixture. In a seperate pan, combine the flour and the reserved stock until well mixed. heat slowly and add the butter. Stir until melted and well combined. Add slowly and evenly throughout the crock pot contents and mix glently to combine with the rest of the broth. Just before serving stir in the heavy cream. Total cooking time = HIGH for 4 hours. 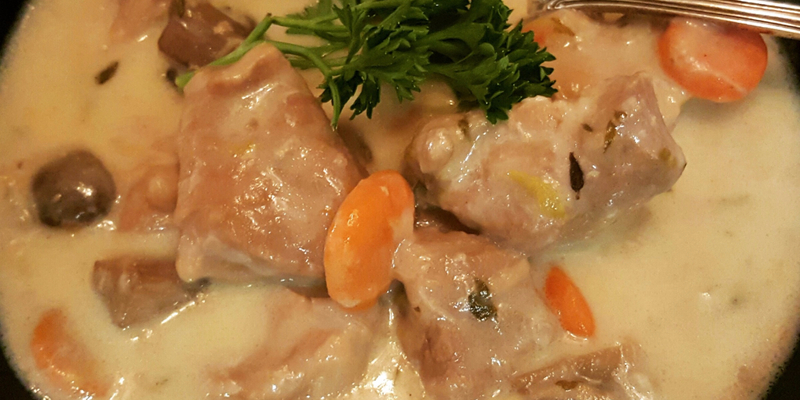 With the exception of the final step, Blanquette de Veau à l’ancienne is easily prepared in a slow cooker. We’ve adapted the recipe for this purpose. My recipe (pictured below) was prepared in a stove top Dutch oven using the same ingredients as listed in the recipe with the exception of the carrots and the initial cooking process. First, I blanch the meat in water with a yellow onion, the leeks and a few sprigs of fresh thyme. After 5 minutes or so on a slow simmer, I remove the meat and vegetables to set aside until I assembled the remaining ingredients. The Dutch oven is given a quick rinse. Then I place the meat and the remaining recipe ingredients, along with a 10 oz. pack of peeled pearl onions, back in the pot to cover with the broth. The pot is set to simmer for about 3 hours total. Later, I remove some of the cooking broth from the pot ahead to time to allow it to cool. It is then used to prepare the crean sauce. You will note that eggs are not used in this recipe. The original and authentic recipe does call for eggs in the sauce. I had a can of sliced carrots in the pantry so I drained the carrots and added them at the end of the cooking period – just long enough to heat through. On a fun note… Chef Damien seen in the video below preparing Blanquette de Veau practices his culinary skills in a town about twenty miles from my home in France!